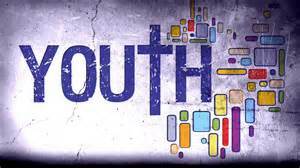 All 6th through 12th graders are welcome to join us for our wide array of Youth services. Youth are encouraged to bring a bible and a friend! Andrew UMC knows that children in this age group are facing many issues that need encouragement and unique support. Our Youth director Beau Buchanan has developed a program that helps to fill many of these needs educationally, socially, physically and of course spiritually. Each youth meeting is different and rooted in the Bible, but may offer games, races, music or videos to try and give youth a different experience than Sunday school. Below is the information for our regularly scheduled, weekly Youth events. Please see the Events calendar on the Homepage or your bulletin this Sunday for special event notices. Drinks- beverages are welcomed at any time, just specify that they are for youth and leave in the office. We can use soda, bottled water and any kind of individual juices. Food- If you would like to bring food or provide a whole meal one week, let Beau know by the Sunday before so that we can incorporate your contribution. Cash- If you would like to offset meal costs, youth can bring Beau money at any time. No more than $2 per week is necessary. *Also join the youth Sunday mornings at 9am in the Youth Sunday School room for a lesson led by Crystal Martin. (the sign says “SR High”, but all youth are welcome).